If you’re looking for a bit of the suburban lifestyle without leaving the boroughs, this affordable housing lottery in the Bronx may be for you. 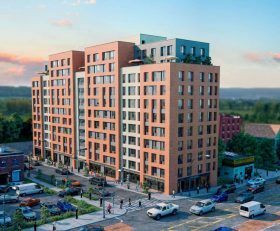 Fifteen apartments at Stagg Group’s Riverdale project The Station (so named for being adjacent to the 1 train station) at 5959 Broadway are up for grabs for New Yorkers earning 80 percent of the area median income. These include 12 $1,292/month one-bedrooms and three $1,458/month two-bedrooms. 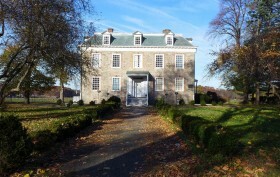 Just as good as the price is the location; the mixed-use building is directly across from the southeast entrance to Van Cortlandt Park, right near the swimming pool and Van Cortlandt House Museum. And for families, it’s also just a couple blocks from the prestigious Horace Mann School and Manhattan College. Local Bronx developers Stagg Group filed plans for their second large-scale affordable housing development in the Norwood/Bedford Park neighborhood back in late 2015, and the project is finally complete as its 117 units have just come online via the city’s housing lottery. The 11-story building known as Norwood Garden sits at the intersection of Webster Avenue and the dead-end East 203rd Street and was designed by Marin Architects with a large, rear second-story terrace, as well as several rooftop terraces. The units are available to households earning 60, 90, 100, and 130 percent of the area median income and range from $865/month studios to $2,302/month three-bedrooms.